In order to build something, you must start from the ground up. It is always important to understand the basics and the core of a concept and this ideology also holds true for software programming. Data structures and algorithms are the basic building blocks for Software Engineering, that determine how the system will operate. Data structures and algorithms are two common concepts that can be found in Software Engineering and are imperative to mastering any programming language or technology within the software technology landscape. In order to master any programming language, functional or objective, one must first understand the basic concept behind it, which includes algorithms. Data in software engineering are represented in data structures such as maps, lists, trees, etc. and is in the constant need of being sorted and merged, transformed and matched in some way. For this reason, software engineers devised algorithms as a solution for this task, which is consistent, repeatable and testable with a set of metrics to quantify performance. However, for data structures to work seamlessly with your system, you need to understand the basics to creating clean, efficient and powerful algorithms that reduces the amount of work required by the engineer. This is where this course can help. Our comprehensive course has been designed to help you understand algorithms and data structures from scratch. This course covers important concepts related to data structures and algorithms including the five major categories of algorithms: Cryptography, Compiler Theory, Signal Processing, Data Analysis, and Graph Databases. This is a course for the Big Boys. It also includes understanding other primary concepts such as recursion and its relationship to concurrency and ADT’s like Trees and Graphs; relationship between trees and rotation operations used in balancing, operations with Primes, Fermat's theorem, parsing grammars with Stacks and Queues and related tools like AST based parsers the beginning step on the road to Compiler theory. In addition to covering the theoretical concepts, the course also is packed with examples of practical applications. It is important to not only understand what the concept it, but also how to use it. You will definitely get the best of both worlds in this algorithm and data structure tutorial. 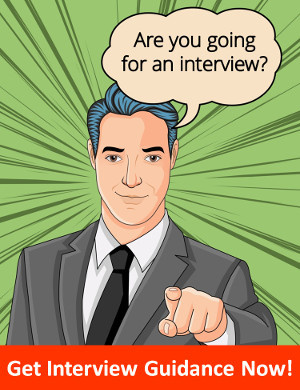 This course will also help you ace the theoretical intensive tech interviews. So if you plan to apply for a tech job, this course will act as a great refresher. With this course, you will not only be able to understand algorithms, but actually write better algorithms to help simplify your programming life. With this much power waiting for you, what are you waiting for? Let’s get started.